This weeks development work was focused on exploring concepts of underwater photography. I was looking to experiment more around ways to showcase the river from differing angles and bring the viewer into a more hidden world. One they would not normally experience. Inspiration has come from Tanja Deman’s work. In particular her work on Saltwater and Sunken Garden. The work shown above helped inform the context of the underwater world that I wanted to convey. The use of tone and natural light brings an air of mystery to the images that can be intimidating at first. Installing a fear of the unknown, the images often progress to bring a feeling of intrigue and uncertainty to the scene. I find Deman’s work compelling in this sense. The ability to instil a range of emotions through the use of a natural composition is someway to what I am looking to achieve. Especially her use of natural light through water. Using a small underwater camera I visited the river and began experimenting further. It should be noted that at all times I follow the Check, Clean, Dry Code to ensure there is no risk of contamination within any waterway I am working on. All equipment is disinfected, cleaned and is dried before and after use in any waterway. All the images above were taken from underwater and with the camera pointed up from the riverbed to the sky. I did this as I wanted to see what would happen in terms of light reflection and the impact shadows have on the foilage underwater. The use of this camera techniques is challenging, as I am unable to see what composition the camera has until after the shot is taken. This means I have to compose images in reverse – instead of looking down the viewfinder, I have to look down the lens of the camera and then go back to get the shot I want. It takes a lot of practice and patience. The camera shutter is triggered in camera by setting it to take an image 15 seconds after the shutter is pressed. This gives me time to line up the shot and get the camera into the position I want. The green/brown tint is the natural watercolour which has been stained by the level of peat from the surrounding hills. The next steps are to now explore this concept and see how far it can be taken. One angle is the capture of wildlife images from underwater, the otter and heron are just a few of the options. 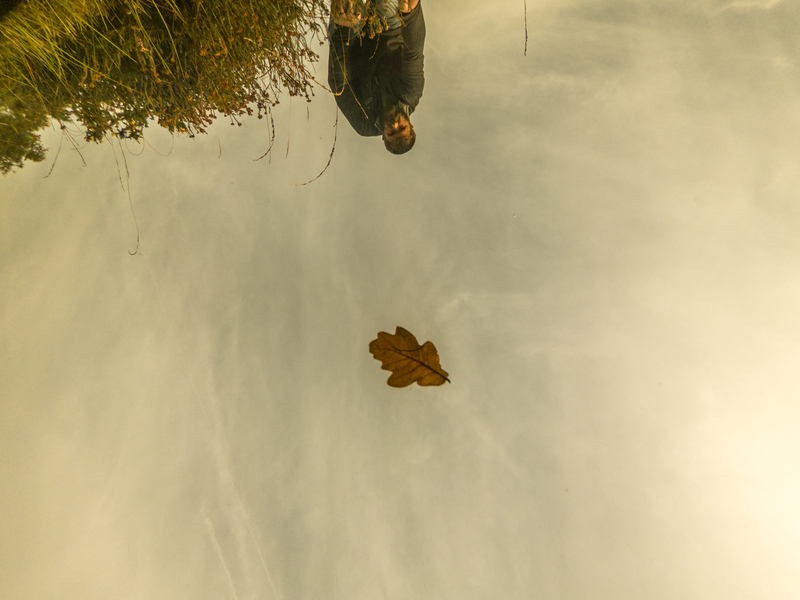 The other is to capture the change in season from summer to autumn – but from an underwater perspective.